Market sentiment has been extremely bullish on the idea that ‘the Fed has got your back’. But do they really? Perhaps global central banks have created the biggest debt and asset bubbles yet assuring that the business cycle is alive and well. Our work shows that liquidity has not been the driver of this recent everything rally. Instead, investor hope is. 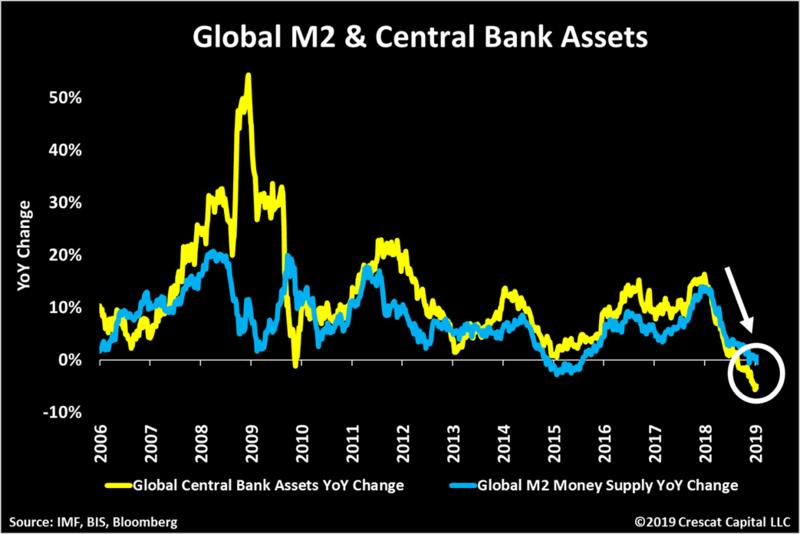 Liquidity, in the form of both global M2 money supply and central bank assets, has actually been contracting as shown below. 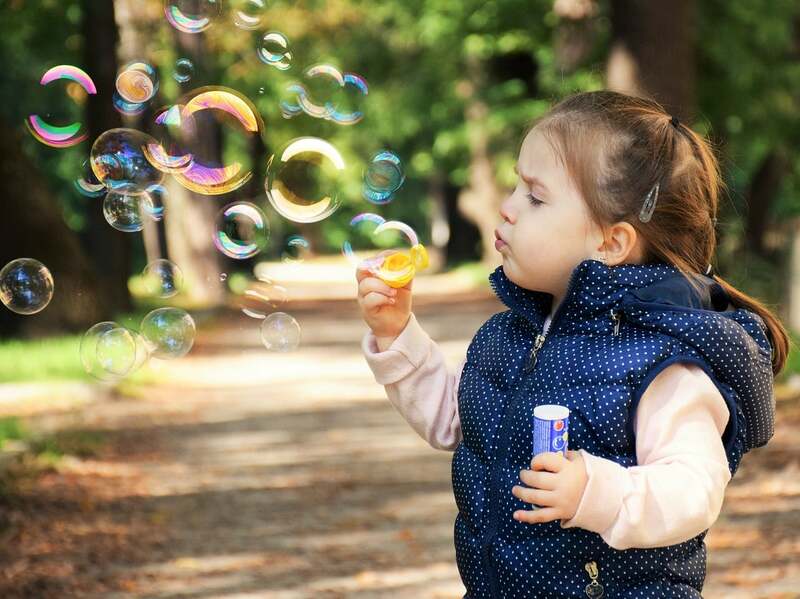 More troublesome is that when massive central bank intervention does finally return, history proves that it does not stop asset bubbles from bursting as the Global Financial Crisis. 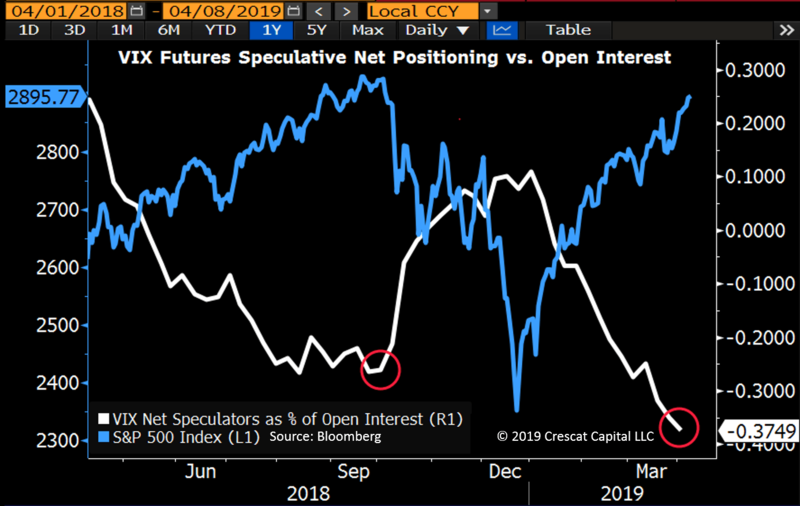 By some measures, such as VIX speculation as shown in the chart below, bullish optimism is even more frothy today than it was in September 2018 prior to the Q4 selloff. Stay tuned for our quarterly letter which will be published soon.